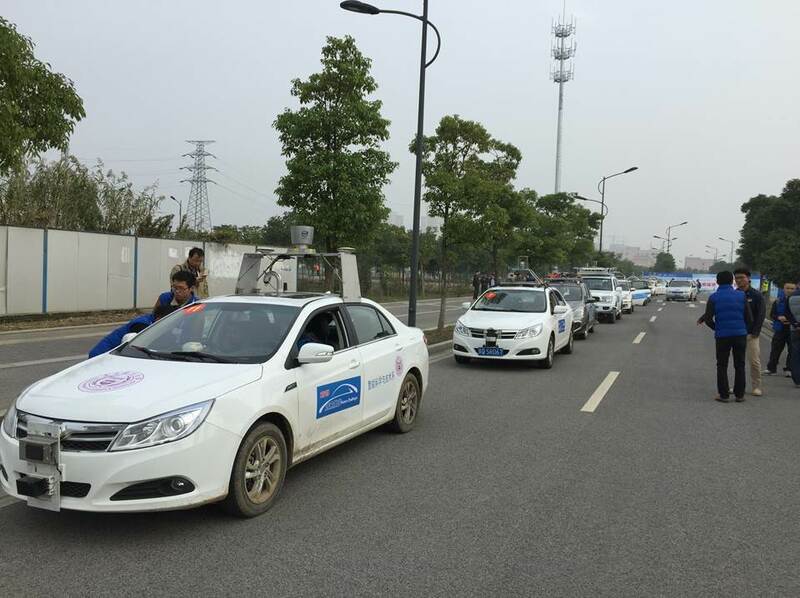 Coming tantalizingly close to a clean sweep, Velodyne LiDAR sensors were literally everywhere during the Intelligent Vehicle Future Challenge (IVFC) Nov. 16 in China’s Changshu city – an event showcasing autonomous vehicles in action. Fully 17 of 20 competitors relied on real time multi-channel 3D LiDAR sensors from industry leader Velodyne – and the top five finishers all used Velodyne’s groundbreaking HDL-64. Inspired by the DARPA Challenge, the IVFC is now in its seventh year, combining a conference dedicated to self-driving vehicles and a competition along a varied 13-kilometer course. 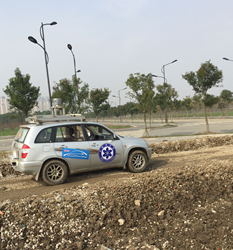 The IVFC, underwritten by the National Natural Science Foundation of China, aims to advance perceptions of the natural environment and decision-making for unmanned vehicle platforms. Wei Weng, Velodyne Director of Asia Sales, addressed that theme in his presentation to the future roboticists in attendance. Among the field of 20 teams, drawn from universities and research entities with some corporate sponsorship, the Military Transportation University contingent again took first place. Hailing from Tianjin, China, the MTU team won for the second consecutive year using Velodyne’s HDL-64 as its core sensing technology. Although the HDL-64 sensor was the winning technology, Velodyne is working to provide similar functionality in a form factor and at a price suited to the automotive industry. The company is scheduled to deliver the new sensor to automotive OEMs in the first quarter of 2016. 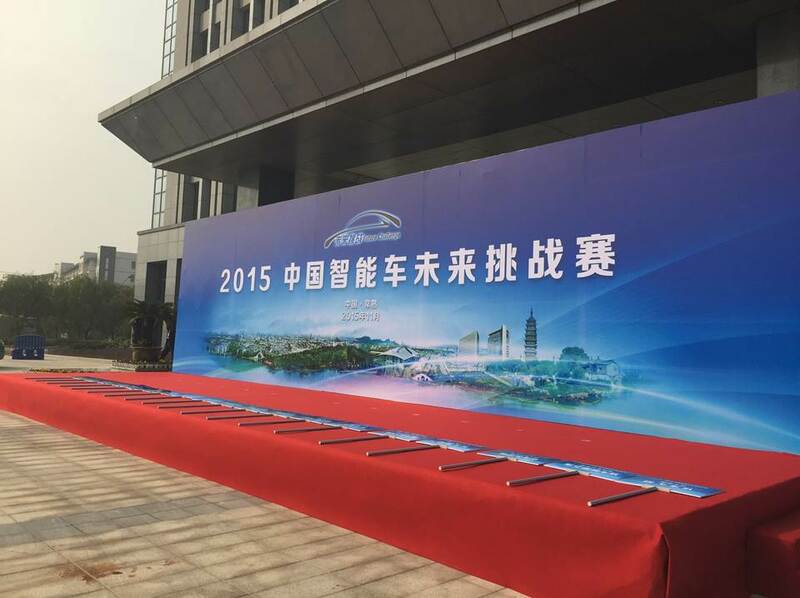 Changshu city, Jiangsu Province, is home to an economic development zone created specifically to promote the automotive industry. The IVFC course included urban, off-road and highway settings, with teams offered the option of skipping the off-road setting. Vehicles were judged on “4S” -- safety, speed, “smartness” and smoothness. The 2015 contest added a new challenge: passing other vehicles, mirroring interest in automated driving lane change features beginning to take hold in the automotive industry.